SHANGHAI - China's oceanic administration says it is preparing to sue the local unit of ConocoPhillips for damages to the environment resulting from offshore oil spills that began in June. The State Oceanic Administration said Tuesday in a notice on its website that it was recruiting legal advisers to pursue compensation claims against the company, which operates the leaking oil wells in Bohai Bay. ConocoPhillips said it expects to have mud affected by the oil cleaned up by the end of August. A company spokesman said the process was slowed by concerns for worker safety in the unclear waters affected by the spill. The spills have added to concerns over damage to the marine environment in Bohai, a major fishery, from industrial, agricultural and other types of pollution. ConocoPhillips China operates the wells in the Bohai's Penglai 19-3 oilfield in partnership with state-run China National Offshore Oil Corp. The spills covered 324 square miles, according to oceanic administration reports, and have drawn criticism from environmentalists and local media over potential damage and apparent delays in notifying the public. On Sunday, oil droplets were bubbling from the sea floor near the well where mud contaminated by oil was removed, the company said. It is trying to determine the source of the droplets and to capture them before they reach the ocean surface. It denied media reports of a new leak. ConocoPhillips said the current seep is less than 1 liter (0.26 gallon) per day. Resumption of pumping in some wells that had been shut down earlier was helping to reduce pressure and "should help alleviate the seep," it said. "We are taking some heat for not cleaning it up faster but as you know Bohai Bay is not the most pristine water to begin with so our 60 plus divers can only see a meter or two in front of their face," ConocoPhillips spokesman John McLemore said in an email. "ConocoPhillips is not going to be put on a time schedule by anyone that puts workers at risk." The company said it had recovered 337 cubic meters (2,119 barrels) of "mineral oil-based mud" from around the Penglai 19-3 platform and has more than 900 staff and more than 30 vessels working to resolve the problems. The company said the total amount of oil and drilling fluids leaked in the spills was estimated at about 240 cubic meters (1,500 barrels). 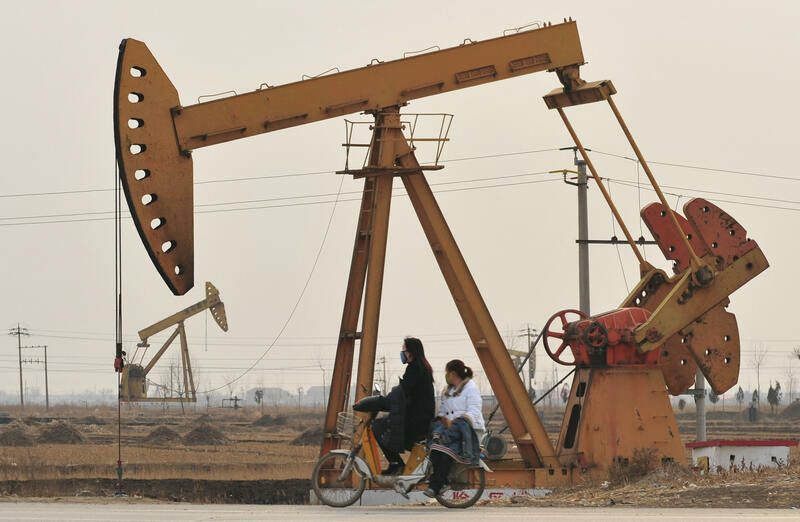 Some of the oil found on the sea surface was analyzed and determined to be coming from a seep in the seabed rather than Penglai 19-3 wells, it said. Legal action over such incidents is complicated by the fact that in China only those directly affected, and not environmental groups, can sue for compensation. Suing in a U.S. court is another option, the financial newspaper China Business Journal said, but is also problematic because of the high costs involved.